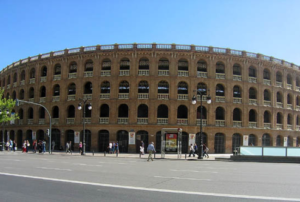 Plaza de Toros is one of the most beautiful plazas in Spain. Plaza de Toros is one of the most beautiful plazas in Spain. Its neoclassical architecture is part of Spain’s historical heritage. 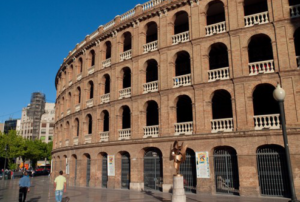 It is currently used for bullfighting but also hosts concerts and other kinds of events. It is situated next to the North Train Station, close to the City Hall. 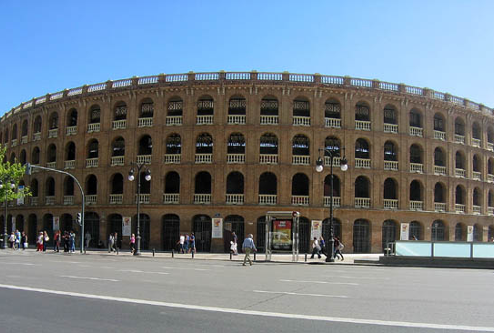 It was built between 1850 and 1860, in the golden age of bullfighting in the city of Valencia and has a seating capacity of 16,851 spectators, a number which reflects the huge popularity of bullfighting during that initial period. Its current capacity is 10,500 seats after renovations in 2010. Since 2013 its Bullfighting Museum provides a detailed tour of the evolution of bullfighting from the 18th century to the 21st century. Depending on the time of year, Plaza de Toros houses sport competitions and various cultural and social events.